Group Discussion Ideas > Current Affairs GD Topics > How to eliminate the threat of Nuclear war? 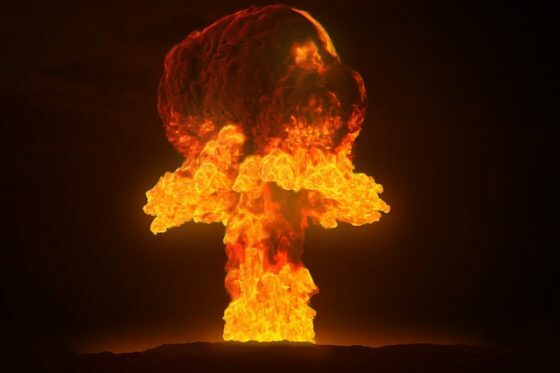 How to eliminate the threat of Nuclear war? There is a threat of nuclear war amid the clashes between US and North Korea. Not just this incidence, but in many situations there are fears of nuclear war. Earlier, kings used to possess strong armies to assert their superiority. Now, countries are possessing deadliest weapons to intimidate their rival nations and to uphold their position in the world affairs. Nations that are possessing nuclear weapons justify their actions with the reason that it will help them to safeguard themselves. As the powerful nations possess nuclear weapons, other countries are also producing and importing them, hence it is leading rising nuclear war threat. When USA dropped atomic bombs on Hiroshima and Nagasaki in 1945, they caused the death of 2 lakh people approximately and caused diseases due to nuclear radiation in others who were survived. The present nuclear weapons exhibit nearly 1000 time of nuclear radiation compared to the bombs that are dropped on Hiroshima and Nagasaki. Nuclear weapons are the weapons of mass destruction. They cause severe destruction to environment once launched. Many species cannot sustain nuclear radiation. Current cities are much more densely populated than earlier. Hence nuclear bombs will cause huge loss of lives. Even if the nuclear weapons are not launched, they can be exploded in production and maintenance stage. Coping up with nuclear war requires huge money, which will inturn reduce funds for welfare, education and many important services. Nations that are possessing nuclear weapons are not participating in the talks of Treaty to eliminate weapons of mass destruction. In this situation, it is the responsibility of citizens to put pressure on their governments to sign the treaty and to destruct the weapons safely to ensure safe and secure world. Eliminating the present nuclear bombs will not totally eliminate the threat of nuclear weapons. Hence there should be more stringent control over fissile materials, inorder to deter countries from producing newer ones. “Non-Proliferation of Nuclear weapons Treaty” (NPT) is an international treaty that prevents the spread of nuclear weapons. But this treaty recognizes five countries as nuclear countries and allows them to possess nuclear weapons. Hence it is failed in the formulation itself. In July 2017, two thirds of UN member countries, that is 122 nations voted to adopt the “Treaty on the Prohibition of Nuclear Weapons“, an international agreement that outlaws the nuclear weapons and establishes a procedure to their elimination. Possessing nuclear weapons will not yield any positive results and will only increase the threat of nuclear war. To eliminate nuclear war, the only solution is to not possess nuclear weapons at all. Every country should pledge to the “treaty to ban weapons of mass destruction” and should abide by it.